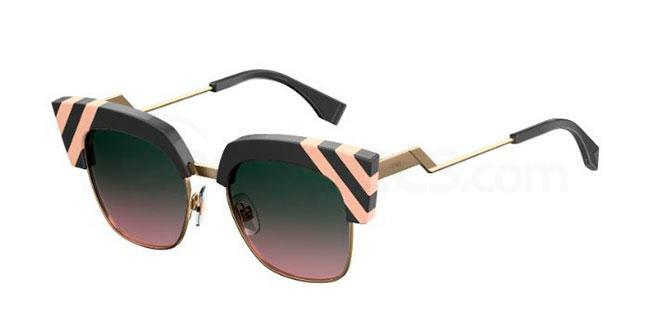 Fendi has got to be one of my favourite sunglasses brands. The designs are so unique, playful and the colour options are so many. With most designs, there are usually 4 colour combinations available, making the selection even better suited to a larger target-audience. Regardless of your colour preferences, the designs are incredible, and each pair is so unique. 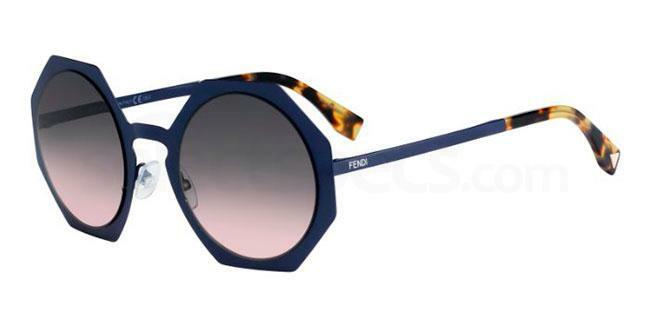 This pair of Fendi FF 0155/S sunglasses are so satisfyingly perfect. 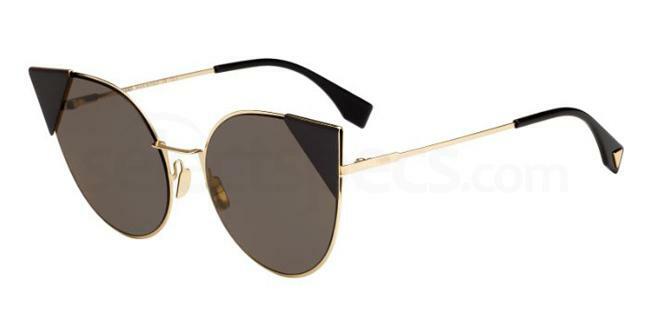 The not-too-thick aviator frames contrasted by the gold arms and bridge make for a super classy pair of sunglasses. This 2-colour design is also ideal for when you want to build an outfit. For example, you could accessorize with gold against a black outfit. 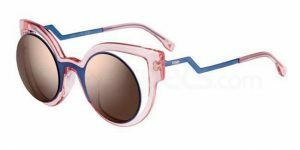 This pair if Fendi FF 0190/S comes in 4 colours, giving you the opportunity to select the colour scheme that works best for you. If you are going for something a bit more neutral that you can wear with pretty much any colour and outfit, the black option is probably the best fit for you. The semi-cat eye detail makes this pair of glasses unique and will add a bit of excitement to your look without becoming too overbearing. 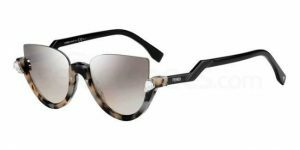 If you are looking for something a little bit more ‘out there’, this pair of Fendi FF 0137/S sunglasses is just right for you. It is unique and a little bit wacky, but done so in a sophisticated and stylish way. 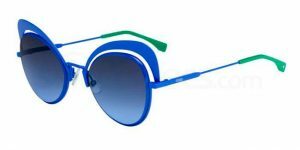 Like most Fendi designs, this pair also has a few colour combinations that you can choose from. The blue and pink however, work well together, and could easily be a part of a bright outfit. 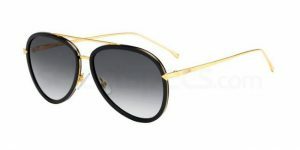 Alternatively, if you would like this pair to be the focal point of your look (which it very well could be! ), wear more neutral greys and light browns to draw the attention up to your face. This pair of Fendi FF 0247/S also has a few colour options (including an incredible teal-coloured version). 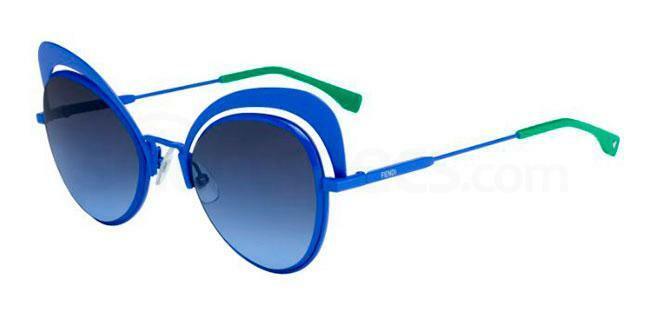 This electric blue pair could make for the perfect beach sunglasses. It is a little eccentric, bright and has a classy design, all the more fun to build an outfit around. 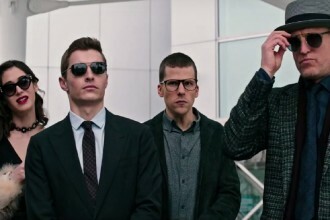 Taking inspiration from the green accent on the sunglasses, you could use the same colour scheme for your outfit (or swimsuit for that matter). If you are looking for a pair of sunglasses that have a slightly different shape, try these Fendi FF 0152/S sunglasses. The shape is a great balance between soft lines in the lense and sharper lines of the frame. These Fendi FF 0241/S are unique because of their top-heavy frames. The line pattern is reflected on the arms as well. This is a great choice of sunglasses that are not too neutral, but also not too much of a statement. 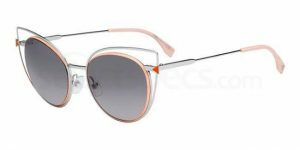 These Fendi FF 0138/S sunglasses are are interesting take on half-framed glasses. With a heavy lower frame and the rhinestone embellishments, this pair will definitely be catching some attention. This would make a great pair for a classy summer garden party. For something a little more delicate, try on these Fendi FF 0176/S sunglasses instead. The frame is light, both in colour and density but so stylish at the same time. Silver and baby pink also make for a great colour combination. This pair is the perfect balance between a statement pair, and something a bit more low-key. 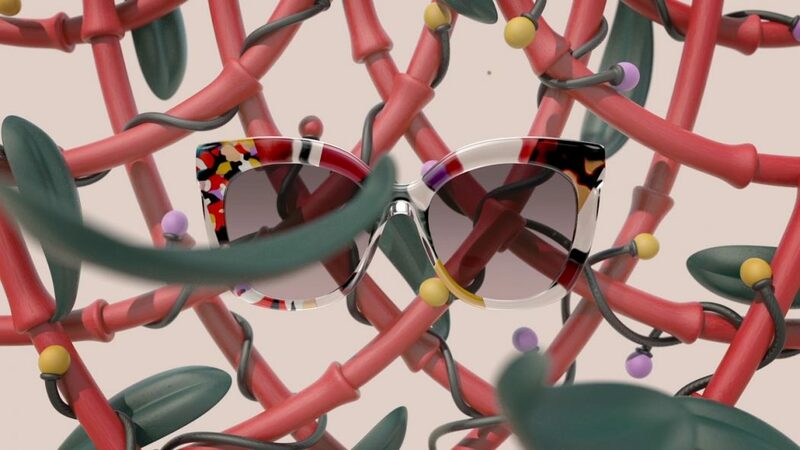 Whichever sunglasses pair you prefer, remember to have a little fun – all in the Fendi spirit. Don’t be afraid to be a bit creative with colour and outfit creations.